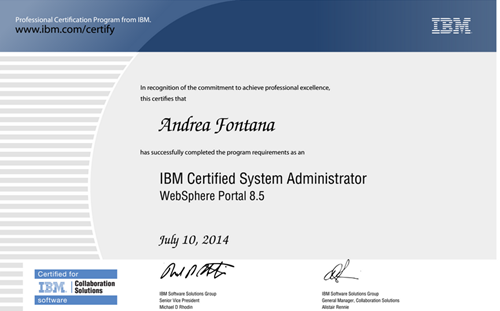 Congratulations on achieving your certification and welcome to the world of IBM Collaboration Solutions certifications! Your commitment to increasing your expertise and knowledge with IBM Collaboration Solutions technology is an asset to you and your customers. The Professional Certification Program from IBM distinguishes professionals in the IT community as experts in leading-edge technology.